Angular single page app that gives users the ability to display their images and travel notes as they travel. As users add entries they are displayed in a list for easy navigation. A mobile-first hotel website that provides information about the hotel facilities as well as account and reservation management for both customers and staff. 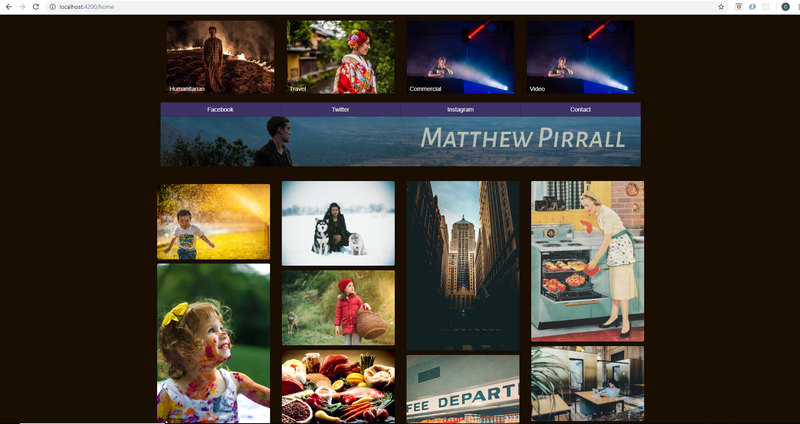 Angular photography portfolio website allowing users to add and edit images, titles, descriptions, and categories without reloading or changing pages. This mobile-first portfolio website combines design and functionality by utilizing forms and dynamic data to create new projects in one easy step. 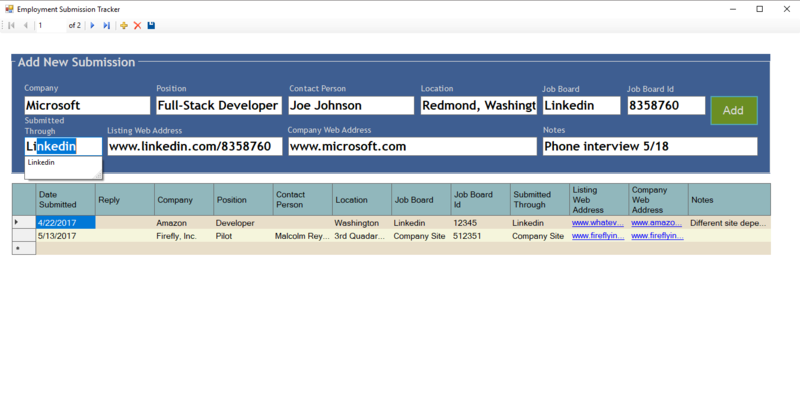 A Microsoft Windows desktop application that makes it easy to track your job-hunting submissions when Excel just won't do. Attractive, easy, and fun. Keeping tabs on your monthly payment can be a drag. This web application helps users by tracking their hours worked and how much they were paid. My hobby website. This initially started as a blog site and grew from there. Come for the code, stay for the art. 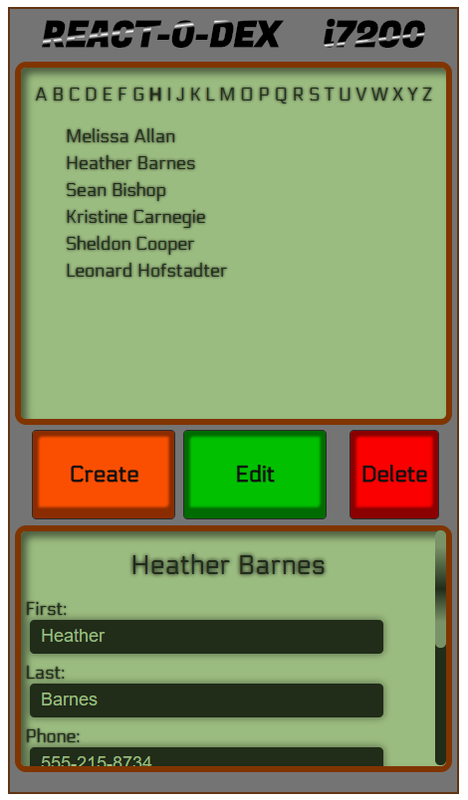 In Progress - This single page Angular app gives users an easy way to create interactive fiction. Pages can be added, edited, and deleted. Includes 2 way data-binding for instantaneous image previews. React single-page application. A fun, retro style address book that has a 1970s calculator feel. I'm a full-stack web developer with a focus on creativity. I love making things. It doesn’t matter if it’s developing applications, creating art, or building Lego with my children. Creativity is what keeps life exciting. I have been fortunate to have had the freedom in my professional career to exercise creativity through the building of products, services, systems, and staff. Through training and education I've also helped others to be creative and build their own dreams. What can we build together? If I can be of assistance to you or your organization I'd love to hear from you. Thank you for your interest. I am available for permanent full-time employment or on a per project basis. You can read the details of my work history and all of the traditional professional information at my Linkedin profile. I am actively looking for web development positions in America, Canada, or Japan but I would be happy to discuss opportunities in other locations as well. Let's talk!